Fresh back from vacation in New Mexico, this drive was the highlight of over 1900 miles driven in 10 days, mostly on scenic byway routes. It is undoubtedly one of the top ten drives I've done so far in terms of twisties and scenery. The Geronimo Trail in totality includes more than just highway 152, but the section of road between Kingston and San Lorenzo is the highlight of the route. West of Hillsboro, the road begins gently curving through the Mibres foothills, predominately following a stream canyon. The scenery is very nice, and there are a couple of bed-and-breakfasts along the way. Once past Kingston, the character of the road changes dramatically as it twists its through the ascent of the Mimbres Mountains. The road is mostly rated at 35-mph, but there are numerous 15-mph and 10-mph hairpins throughout the drive as the road snakes its way to crest of Emory Pass at 8,228 feet. 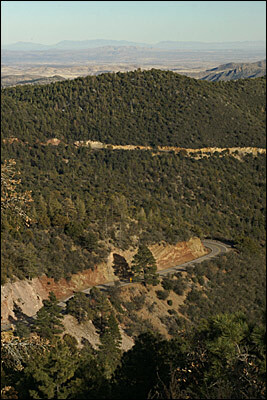 Throughout it's run, the byway traverses the Gila National Forest, so the scenery here is a stark contrast to most of the rest of New Mexican deserts and mountains. For more information, you can visit the Geronimo Trail website. 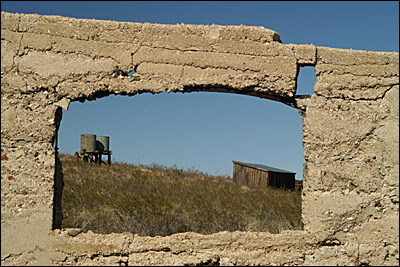 To the south of this drive is the mining ghost town of Lake Valley. 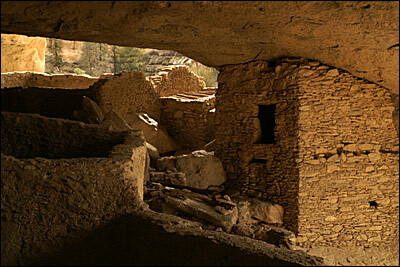 To the north is the Gila Cliff Dwellings National Park, as well as the town of Mimbres which is the historic site of related Mogollon Native Americans during the 11th through 13th centuries. As Hwy 152 approaches the historic town of Silver City, you have spectacular views of the Tyrone Copper Mine. As for food and libations, The Buckhorn Saloon in Pinos Altos has been operating continuously since the 1860s, and the Red Barn Family Steakhouse is hard to beat for appetites and budgets of all sizes. Hwy 152 heads east just south of the town of Caballo, which is located about 163 miles south of Albuquerque on Interstate 25. The 67 miles between Caballo and the junction at Hwy 180 in Silver City is deceptive. Allow at least two hours for this drive to accommodate the tight, twisting turns, steep grades (up and down), and multiple overlooks where you will doubtless want to pause to take in the view. Oh man, that road in the second pic, looks like it would be so much fun to drive!